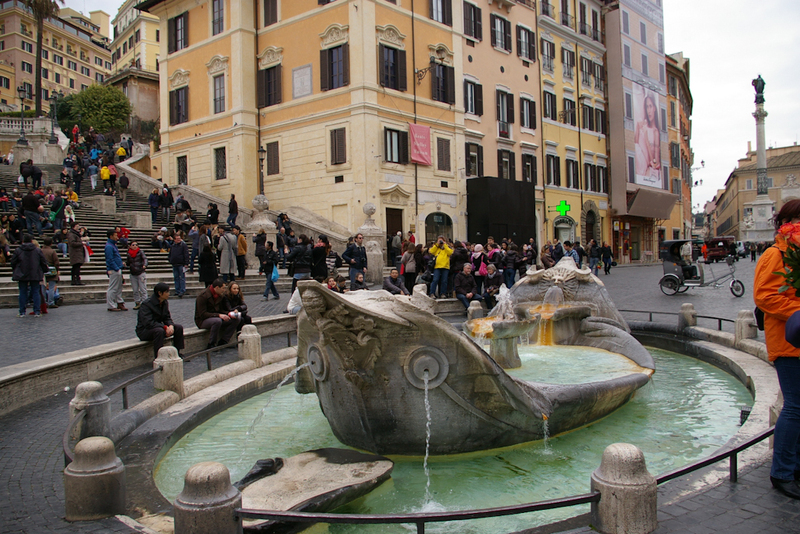 The Piazza di Spagna and the Fontana della Barcaccia, February 2013. 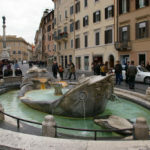 Keats-Shelley House and the Fontana della Barcaccia, February 2013. 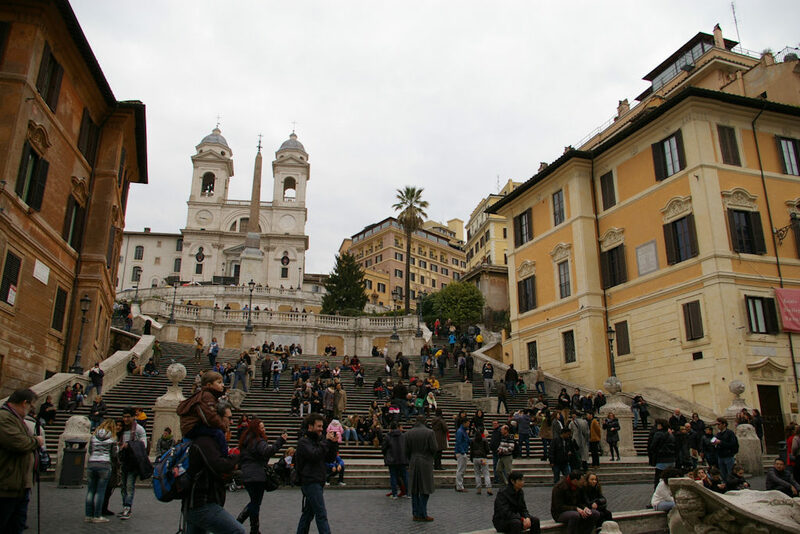 Keats-Shelley House and the Spanish Steps, February 2013. 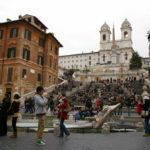 The Spanish Steps and the Fontana della Barcaccia, February 2013. The front door of Keats-Shelley House, February 2013. 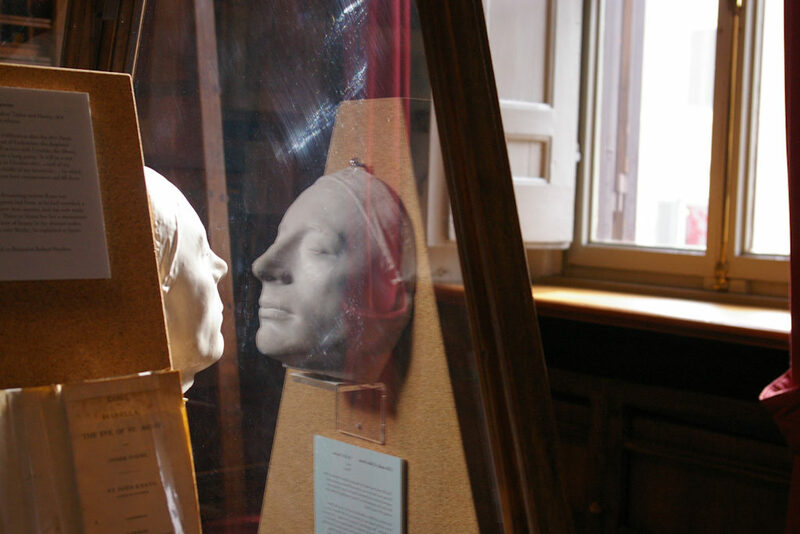 Keats’ life mask in a display case, February 2013. Keats’ bedroom and the room where he died, February 2013. Locks of Shelley’s (left) and Keats’ (middle) hair, February 2013. 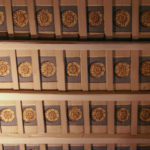 The (restored) daisies in the ceiling above Keats’ bed, February 2013. 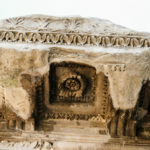 Daisies carved in the ceiling, among in the Forum ruins, February 2013. 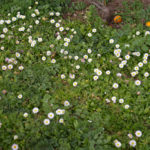 Daisies on the Palatine Hill, February 2013. 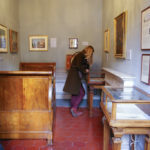 The Keats-Shelley Memorial House is a ‘writer’s home museum’ in honour of John Keats, who spent the last four months of his life there between November 1820 and February 1821. 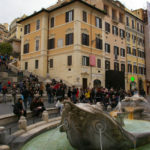 The Memorial House also honours Keats’ contemporary and friend, the English poet Percy Bysshe Shelley, who spent time in Rome while living for some years in Italy. Both Keats and Shelley are buried in Rome’s ‘Non-Catholic Cemetery’. 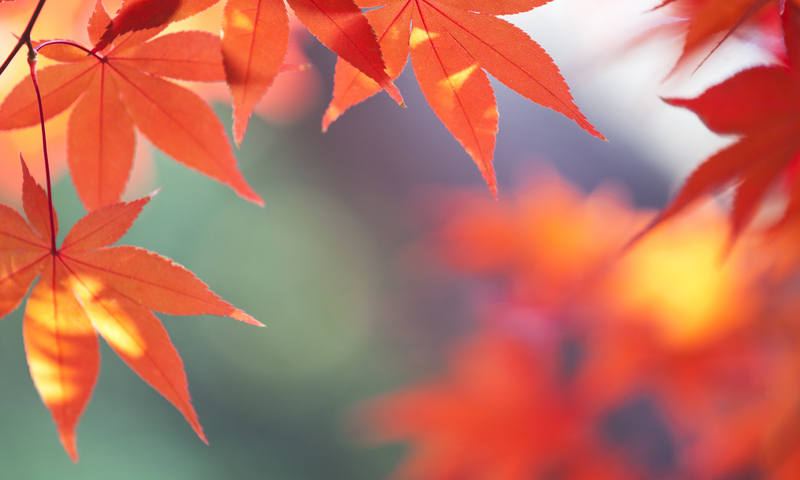 John Keats was advised to seek a warmer climate for the sake of his health. After various delays, Keats finally left England by ship in September 1820, accompanied by his artist friend, Joseph Severn. They landed at Naples, Italy in October, and arrived in Rome on 14 November. 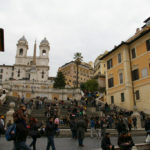 It had already been arranged for Dr James Clark to attend Keats, and Dr Clark had taken rooms for them on the second floor of the building at number 26, Piazza di Spagna, at the foot of the Spanish Steps. 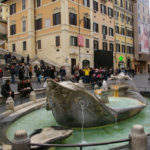 Their landlady, Anna Angeletti, occupied the rooms at the back of the second floor, and Keats and Severn had the rooms at the front, overlooking the Spanish Steps and the burbling fountain in the Piazza, the Fontana della Barcaccia. 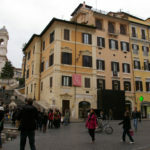 The Keats-Shelley House, to the right at the foot of the Spanish Steps. Unfortunately, Keats’ health only worsened despite Severn’s diligent care of him. John Keats died in the little corner bedroom of these rooms, late at night on Friday 23 February 1821. The funeral procession left from the Piazza before dawn on Monday 26 February. Due to Rome’s health laws, the room in which Keats died was stripped and scraped back, and everything burned. It has since been restored to its former condition, with the carved and painted daisies in the ceiling, just as Keats had known. The rooms were occupied privately for the rest of the 1800s, and became quite dilapidated, despite a constant stream of visitors wanting to see the room where Keats had died. The efforts to purchase the rooms, and turn them into a museum began in 1903, with support and fundraising coming from America and Britain as well as Italy. The purchase occurred in 1906, and restoration began. A dedication was carried out by the King of Italy, Vittorio Emanuele III, on 3 April 1809, and the museum was formally opened to the public. During the Second World War, anticipating the German occupation of Rome, the House preserved itself by taking down its signage and appearing to be just another anonymous set of rooms. The thousands of books remained where they were. However, two boxes of particular treasures – including letters, first editions, and locks of Keats’ and Shelley’s hair – were sent to the Abbey of Monte Cassino for safekeeping. The Abbey’s archivist then took the boxes with him when the Abbey was evacuated in 1943, ahead of German occupation and Allied bombing. 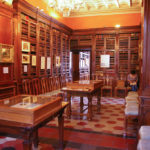 Eventually, with the Allied forces arriving in Rome, the boxes and their contents were restored to the Keats-Shelley Memorial House, and formally unsealed and opened in June 1944. 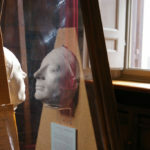 Keats’ life mask, reflected, in a display case. The House now contains a significant library and extensive memorabilia associated with the Romantic poets. 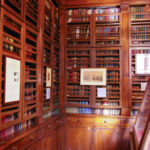 The walls of the main rooms are lined with beautiful book shelves and display cases, though Keats’ bedroom is preserved as he would have known it. 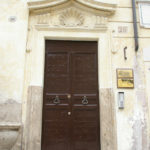 The House is run by the Keats-Shelley Memorial Association. It occupies all of the second floor of the building, and has now expanded into parts of the first floor as well. I have loved visiting the Keats-Shelley Memorial House. Despite the sadness of Keats’ early death, there is a sense of peace and contentment there … not to mention a cool selection of items in the gift shop! NB: The museum is reached via a few steps up to the front door, and then a relatively wide stairwell going up two stories. Staff are willing to help where they can, but there is no lift, and therefore people with restricted mobility will need to plan ahead with all this in mind. 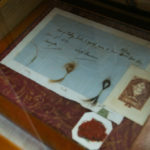 I have felt all the luck and privilege associated with being able to view a lock of Keats’ hair – so distinctively reddish-brown! – and the original of Severn’s last portrait of him sketched while Keats was dying. There are regular talks given for visitors, lectures and events, as well as an annual poetry competition for school children. Opening hours: The House is open Monday to Saturday each week, and closes for an hour at lunchtime. Check the details on the website before you travel!